Don't panic! You are in the right place and welcome to our new website. We would be grateful for your patience during this 'teething period' and welcome any comments or feedback you might have. 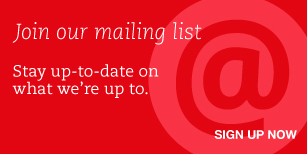 Expect new-look newsletters in the new year also. All change for an exciting 2014 at Geese! Our new Annual Review is now available to download. This year's review highlights our work in prisons, forensic mental health settings and with youth at risk. We were also honoured that Becky, a previous participant on a Geese workshop, agreed to tell her story, as there is no better way to show the value of our work. The company will spend August travelling the country and visiting 20 different prisons, with the NOMS funded project, Write to be Heard. Geese will be working with a variety of different writers, facilitating creative writing workshops with hard to reach groups, who will than have opportunity to submit their own work to the Write to be Heard awards, being judged in November. The project is managed by Arts Allliance and Geese will be working in collaboration with Prison Radio Association as the full project will be publicised across the prison estate. The company are looking forward to the tour and the opportunity to work in partnership with Arts Alliance, PRA, Prison staff and writers from a variety of different disciplines and backgrounds. Team Geese are training hard for the Great Birmingham Run on 20 October 2013! The team is made up of company members, board members and friends of Geese who are all raising funds for performances and projects with some of the most vulnerable and marginalised populations in Birmingham and the UK. Thanks to generous funding from Arts Council England's Cataylst Fund, every £1 raised will be matched! So if donors can only spare a £1, it will become £2. Plus, Virgin Money Giving will claim Gift Aid for those who are eligible.